Deadpool 2 will only have major, direct competition from Slender Man, but there are much bigger movies coming out on either side of that May 18 release date. For one, Avengers: Infinity War arrives on May 4, just two weeks before the Deadpool sequel, starring Ryan Reynolds as The Merc With the Mouth. There's also Solo: A Star Wars Story, which comes out a week later on May 25. Even though we haven't seen any official marketing, it's still a Star Wars movie and will do big business. However, Exhibitor Relations analyst Jeff Bock feels the move is going to work out just fine for Fox. Here's what he had to say while speaking to The Wrap. "It's not a bad move at all. The Memorial Day Weekend box office needs more than one big release, so Deadpool could certainly find some room in its second weekend alongside Solo. And it's not that much of a competitor against Avengers, because while Avengers pushes the boundaries of what a PG-13 comic book movie can do, Deadpool certainly pushes the boundaries of what a superhero movie can do with an R rating, so audiences might even see it as a companion viewing experience to 'Avengers.'" Next up is Gambit. We just recently reported that the long-gestating Gambit solo movie lost director Gore Verbinski. The movie was slated to arrive on February 14, 2019. Now that Fox has to search for a replacement, who will become the fourth director attached to the project, Gambit has been moved to June 7, 2019, making it a major summer release for Fox. Finally, and this is perhaps the most surprising move, The New Mutants has been bumped back nearly a full year. Director Josh Boone's horror movie set within the X-Men universe was supposed to be released this April on Friday the 13th, but the movie is now getting pushed to February 22, 2019. That more or less means that it's taking the place that Gambit occupied, which makes sense, but why the big movie? Reportedly, the movie isn't scary enough. 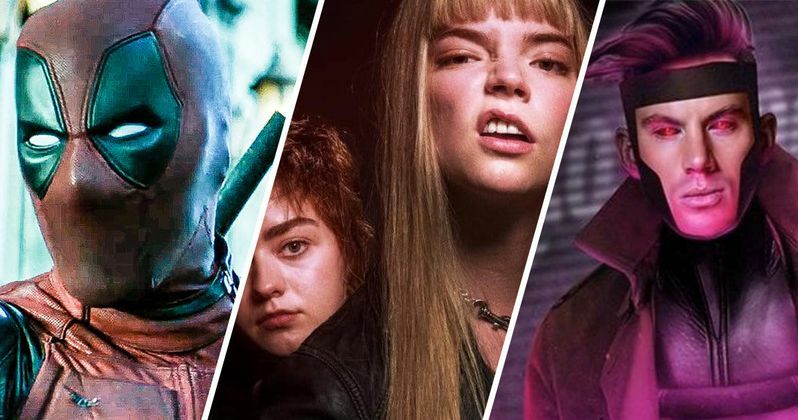 This means that Fox is likely going to do some reshoots and retooling to make The New Mutants scarier, but it's especially odd because they've already released a trailer and have been promoting the movie on social media quite a bit. This is also likely to make The New Mutants a much more expensive movie, when all is said and done. Lastly, The Wrap reports that X-Men: Dark Phoenix is going to stay put and is still scheduled for release on November 2. Ryan Reynolds has also shared a new Deadpool 2 photo to celebrate the new release date, which you can check out for yourself below.